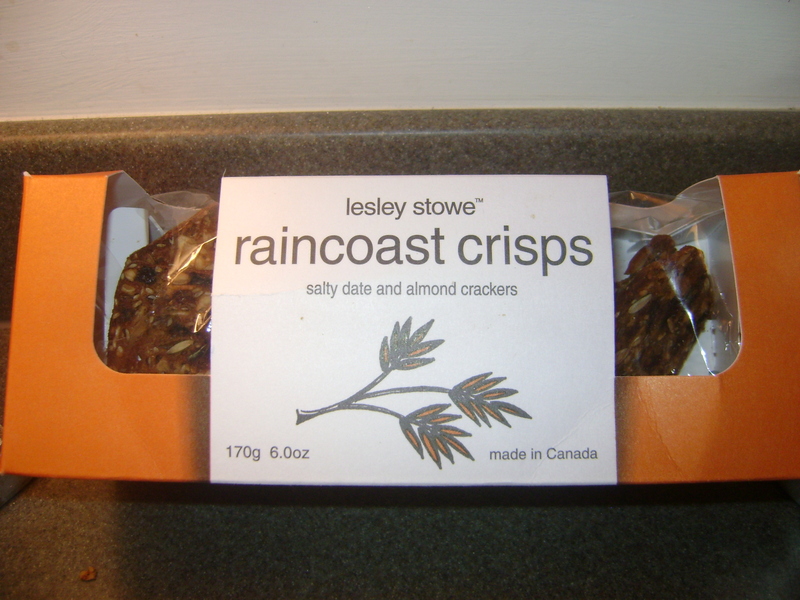 These Raincoast Crisps were really good, in spite of the fact that the first listed ingredient was unbleached flour. Blah. I grabbed them anyway and tasted them–they are good. I knew I could knock ’em off, though. They might be better this way!! Pulse them together–until they are evenly ground, but not a paste. 1/4 c each of sunflower seeds, pepitas, sesame seeds (I used black and regular), almond flour, flaxseed meal. Blend until evenly ground, and somewhat sticking together. Roll dough between two pieces of parchment paper, until very very thin. Approximately 1/8 inch thickness. Or less. You may find it easier to do in two or three batches. Bake for 30 minutes, or until lightly browned and crispy. Use a knife to cut them into uniform “crackers”. Serve alone, topped with chicken salad, or farm fresh goat cheese. These little crackers are elegant…like something you would find in a little cafe in the West Village. This is perfect timing! I bought dates for another recipe and had plenty left over – now I have a terrific sounding recipe for the remainder. I cant wait to make these. Leigh! You are always so inventive!! Love that you can duplicate things 🙂 can’t wait to give these a try. What are pepitas and where can I get those!? Thanks!!! pepitas are pumpkin seeds. not with the white shell, but the green seed inside. you can get them at adams, whole foods, probably any other store than the one we have, ha! 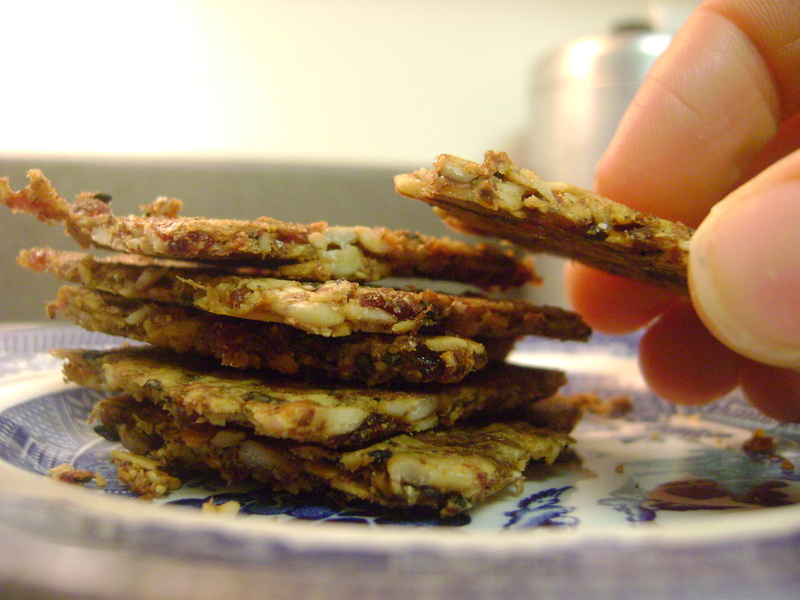 I just made these sesame date crisps for a party last night. I eat paleo but the rest of the people I work with don’t, so I needed something that would appeal to everyone. These were a big hit. I will be making them again and am already coming up with ways to modify the recipe to make different flavors. Since it is almost Christmas, I want to try this with some fresh ginger and pumpkin pie spice. I think they have the potential to be be wonderful gingersnaps! What wonderful feedback! Thank you for taking the time to let us know you liked it! I am interested to hear how the flavors turn out. What a great idea to make gingersnaps. I also think finely chopped rosemary would pair well with dates to give it a savory/sweet profile. 🙂 Merry Christmas!! Just wondering if u gave the ‘ginger snaps’ a go?? Just made these. Sooo good, thank you! Because I tend to guild the lilly, I added some cocoa nibs along with the nuts. I also want to try replacing the raisins with dried cranberries next time. And the ginger definitely sounds great. Just made these. Sooo good, thank you! Because I tend to guild the lilly, I added some cocoa nibs along with the nuts. I want to try replacing the raisins with dried cranberries next time. And the ginger definitely sounds great.